Below is guest post by Chuck Searcy, a US veteran who has lived and worked in Vietnam for over 20 years. The reporting on “trade” is actually pretty misleading, because the TPP does not have much to do with trade (only what? — five out of 23 chapters related to trade?). It’s mostly about widening opportunities for multinational corporations to intrude into fragile markets such as Viet Nam to take enormous advantage of local companies and production sectors, particularly drugs and agriculture. There is something that doesn’t meet the “smell test” about the likelihood that U.S. beef imports into Viet Nam will sell more cheaply than locally produced meats. That’s because heavy U.S. government subsidies are very well hidden. The Vietnamese have no clue how to peel through the layers of America’s generously subsidized economy and learn the truth. But American corporate lawyers will be lined up to take action against Viet Nam for the slightest advantage that Viet Nam seeks under the TPP. We’ve slapped Viet Nam down several times — with textiles, shrimp, catfish, under terms of the US-VN Bilateral Trade Agreement which the Vietnamese naively thought would help them so much. The WTO turned out to be a major disappointment for Viet Nam. And no one knows the consequences that will result from America’s attempts to exclude, or cordon off, China from this commercial arena. The scheme is not realistic, and could be quite damaging for Viet Nam. Much of Viet Nam’s raw material (threads and fabrics for the garment industry, for example) come from China. Will Viet Nam now have to buy these inputs from other more expensive markets? Possibly. No one quite knows. But “origin” in China will not be allowed. That will be great satisfaction for Obama and Washington politicians, who want to “contain” China. Prof. Herman Daly should be studied and listened to much more carefully. The “steady state” economy that he and many others promote is really the only answer to conventional economics, which is a runaway train that is gobbling up resources as if there will never be a tomorrow. The conventional approach is to create a rapacious, advertising-driven consumer market that is based on waste and finite destruction. It is simply not sustainable. For politicians in Viet Nam and most other countries to continue to speak as robots about “growth” is dangerous for future generations. We simply do not need to be destroying the earth as we’re doing, in a quest for meaningless gadgets and playthings, while much of the world’s population lives a meager existence only because we have such a distorted global economy that we refuse to distribute a food supply that is actually adequate to feed the entire world. The TPP is just one more ticket to one more glittery ball to be enjoyed by a few wealthy patrons, as the masses stand outside shivering, but at midnight the clock will strike and everything will collapse (or maybe we’ll turn into pumpkins). Most of us are in denial that such a scenario will really happen. And maybe it won’t, if we listen to a few enlightened people like Herman Daly — and if it’s not too late. There you have it. It’s all about positioning vis-a-vis China and exactly the trap in which the U.S. wants to ensnare Viet Nam. Next will come big weapons sales from the U.S. and after that the “independence” that Viet Nam fought for during the past century will be lost to the behemoth of global state capitalism and militarism. Given the intriguing historical relationship between Vietnam and China, I thought it might be interesting to do a brief comparison between the two as it relates to study in the USA. But first, here’s some basic up-to-date (as of 2014) information about each country. The population of China is estimated at 1,393,783,836 as of 1 July 2014. China’s population is equivalent to 19.24% of the total world population. The population density in China is 145 people per km2. The population of Vietnam is estimated at 92,547,959 as of 1 July, 2014. Vietnam’s population represents 1.28% of the total world population. Vietnam ranks number 14 in the list of countries by population. The population density in Vietnam is 279 people per km2. The median age in Vietnam is 30.3 years. The 2015 populations of China and Vietnam are 1,401,586,609 and 93,386,630, respectively. This means that China has 15 times as many people as Vietnam. For what this figure is worth – it is, after all, only an aggregate indicator of economic growth – China’s per capita income of $6807 in 2013 was 3.56 times as high as Vietnam’s ($1911), according to The World Bank. As of February 2015, there were 25,982 Vietnamese studying in the US at the secondary and postsecondary levels and 331,371 Chinese. 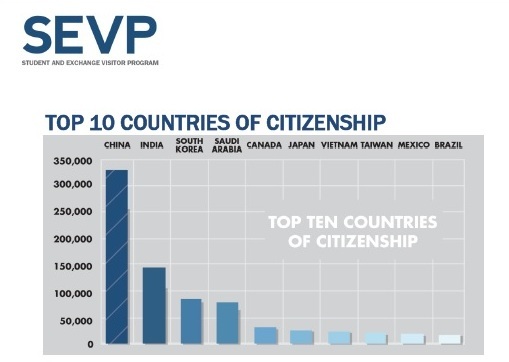 China is the world’s leading sending country for US-bound students while Vietnam ranks 7th. While China’s population is 15 times larger than Vietnam’s, it has 12.75 times as many students in the US as Vietnam. 87.6% and 12.4% of Vietnamese enrollment was in higher and secondary education, respectively. The figures for China were 91% and 9%. Using the NAFSA formula for 2014, with information from IIE’s Open Doors Report and the US Department of Commerce, Chinese and Vietnamese students and their families contributed $8.04 billion and $543 million to the US economy last year. Like most, I don’t have a crystal ball so these are just educated guesses based on the above data and some information that I have not included about the state of higher education in each country. 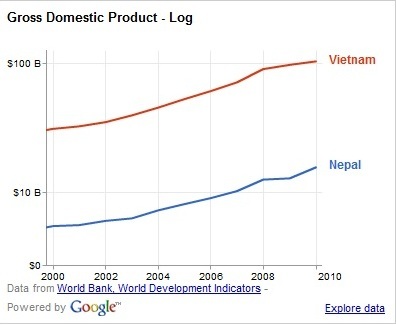 Something to keep in mind is that each country has experienced dramatic growth over the past few decades but that Vietnam had a very different starting point because of two consecutive wars, the devastating impact of a US-led economic embargo that dated to 1965 and was lifted in 1994 and post-war poverty. In terms of urbanization and median age China is now what Vietnam is quickly becoming. Chinese enrollments at both levels will peak and begin to decline. China’s population (35.7 years) is quite a bit older than Vietnam’s (30.3 median age) and there are more and more quality educational opportunities available at home. Vietnamese enrollments at both levels will continue to increase. Vietnam has a younger median age, incomes continue to rise and it will be a while before the domestic higher education system improves to the extent that most Vietnamese of means will want to send their children to local institutions. This is yet another reason why US colleges and universities should diversify their international recruiting strategy to include the four emerging markets identified in a recent World Education Services (WES) survey: Brazil, Vietnam, Indonesia and Nigeria. A startling number of Chinese students are getting kicked out of American colleges. According to a white paper published by WholeRen, a Pittsburgh-based consultancy, an estimated 8,000 students from China were expelled from universities and colleges across the United States in 2013-4. The vast majority of these students—around 80 percent—were removed due to cheating or failing their classes. As long as universities have existed, students have found a way to get expelled from them. But the prevalence of expulsions of Chinese students should be a source of alarm for American university administrators. 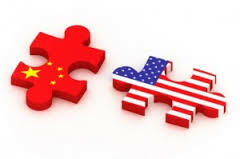 According to the Institute of International Education, 274,439 students from China attended school in the United States in 2013-4, a 16 percent jump from the year before. Chinese students represent 31 percent of all international students in the country and contributed an estimated $22 billion to the U.S. economy in 2014. Here’s the story du jour from The Atlantic about the leading country of origin, China, whose students comprise nearly one-third of the 886,052 international students in the US. It’s no wonder they attract a disproportionate amount of attention from the media, both positive and negative. In this case, it’s the latter – China as international education whipping boy. Frankly, I was surprised that the number wasn’t even higher. The entire education regime in China is fundamentally different from the US system, so to expect similar results/outcomes when Chinese students study in the US system is ludicrous to begin with. Add to that, the radical differences in the extra-academic environment, and 8,000 seems low to me. It is to the credit of the Chinese that the number is not higher. This is what the article should have focused on. A more refined focus would have highlighted how the Chinese, on a per-student basis, actually shift the GPA curve higher, and this is true at every institution that admits Chinese students. They have a higher on-time college completion rate than US students, they pay full tuition (except for the merit scholarship students), and they do not participate in the carnal excesses of Greek loser life. They are often tutors and class/lab assistants in the STEM fields. And in the classroom they contribute a diversity of perspectives and opinions that simply do not exist among US students. The 8,000 seems significant, but there was no breakdown of how many of those students were expelled for willful delinquency versus expelled for poor academic performance resulting from depression, difficulty in adjusting/assimilating, making mistakes due to lack of knowledge of the campus culture, poor institutional fit due to unscrupulous agents/admissions offices, inexperienced and ignorant student service administrators/staff/faculty, etc. I would like to see the expulsion numbers for the Saudi students, who contribute far less academically and who seem to knowingly and intentionally get into more trouble for non-academic reasons (and even academic dishonesty reasons) far out of proportion to their numbers. There are other schools that have chosen to limit their Chinese enrollment in the interest of diversity and recruit from other key markets, including Vietnam. This explains in part the growing interest in Vietnamese students and those from other countries. It’s not all about “showin’ me the money,” i.e., tuition dollars and related financial contributions. So, while the title is juicy and guaranteed to garner thousands of Facebook likes and Tweets, the reality is more complex and nuanced. Wise institutions follow the path of diversification to the benefit of their students, communities and reputation.